Diary Of course one of the biggest worries is will I be able to get a job on my return……Being almost unemployable means that I will probably have to work for myself (by myself) that is unless anyone has any uses for a large annoying Welshman….If you do need anyone annoying (I’m especially talented at enraging minor government departments) then feel free to contact me! PLEASE! 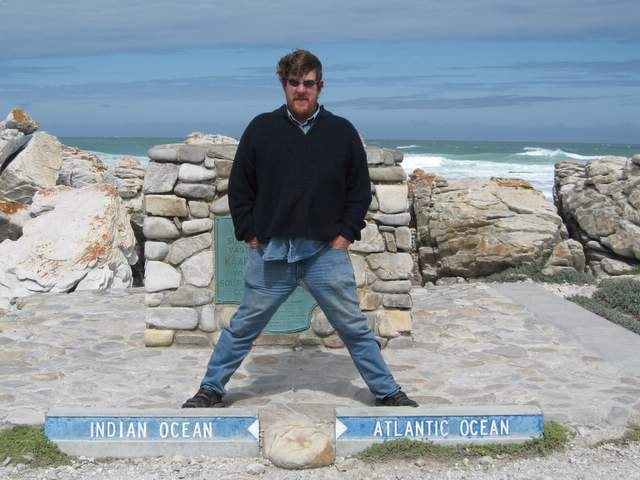 PIC SHOWS: I must have Sudanese legs to be able to straddle the Atlantic and Indian Oceans!